Details and preferences of those attending events or participating in Chabad Lubavitch UK educational, religious or social programmes. 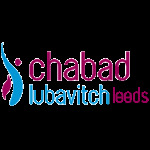 Details relating to staff and volunteers to enable Chabad Lubavitch UK to utilise their services and, where appropriate, remunerate them accordingly. Donor and volunteer records and preferences, including, where necessary, bank or payment details in order to process payments and information provided about an individual’s tax status for the purposes of collecting Gift Aid.